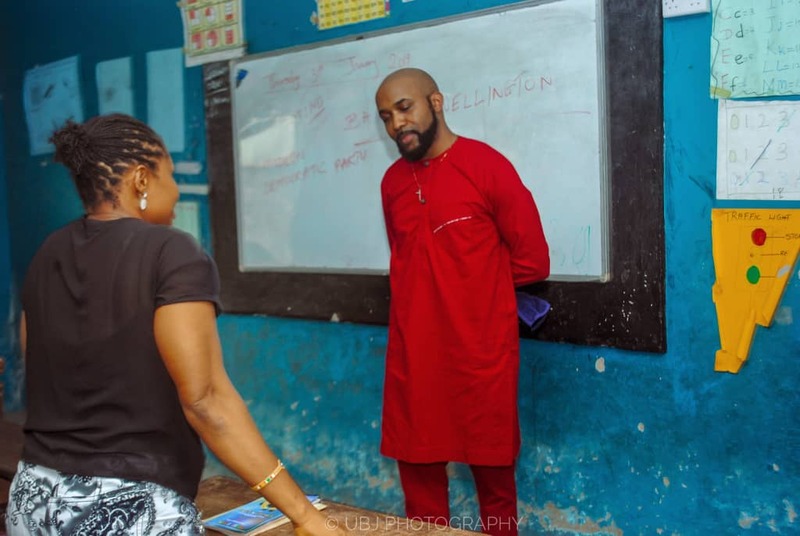 Prominent Nigerian singer turned politician Banky W was the guest teacher at the latest edition of SpellAfrica Back-To-School Celebrity Guest Class where he had positive impact on the adult students present. SpellAfrica Celebrity/Public Figure Guest Class, is a section of SpellAfrica’s project where celebrities are invited to take an hour class with adult students as their way of giving back to the society likewise serving as a source of inspiration to them and Banky W was their latest guest. 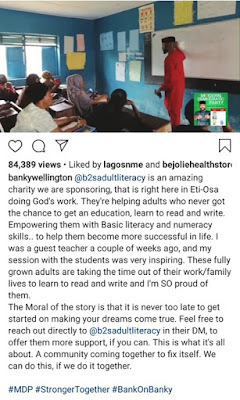 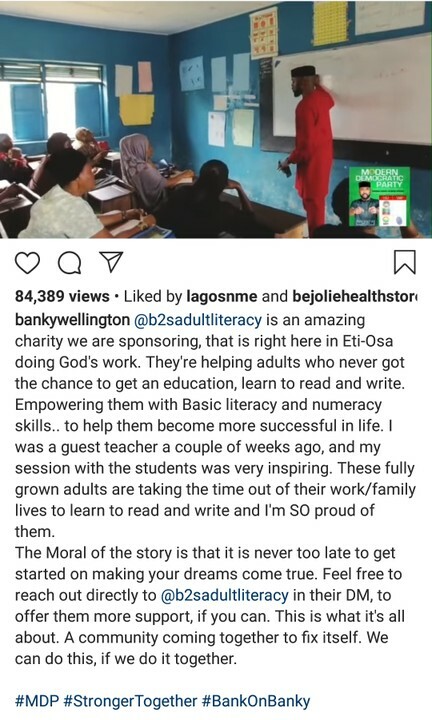 Banky W taught the students how to read and write in a one hour interactive class. 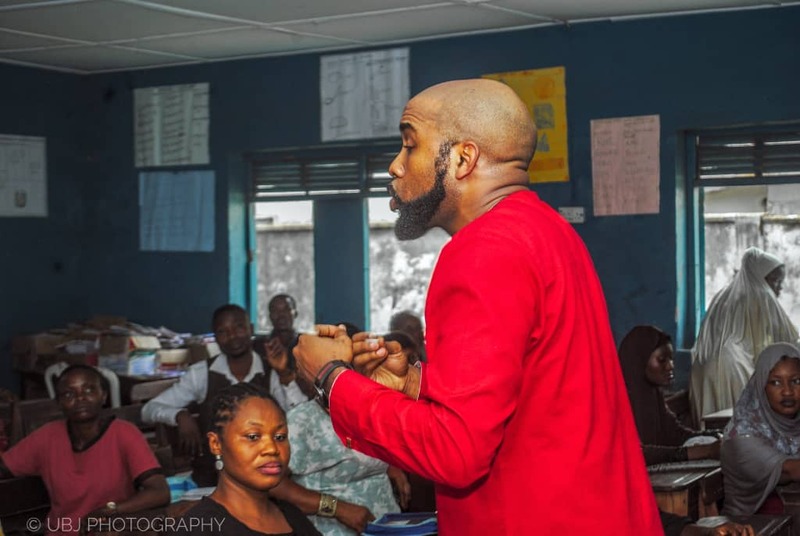 He also inspired them citing his and several successful people’s stories to corroborate his message and also had fun with the students as a way of making it a total experience. 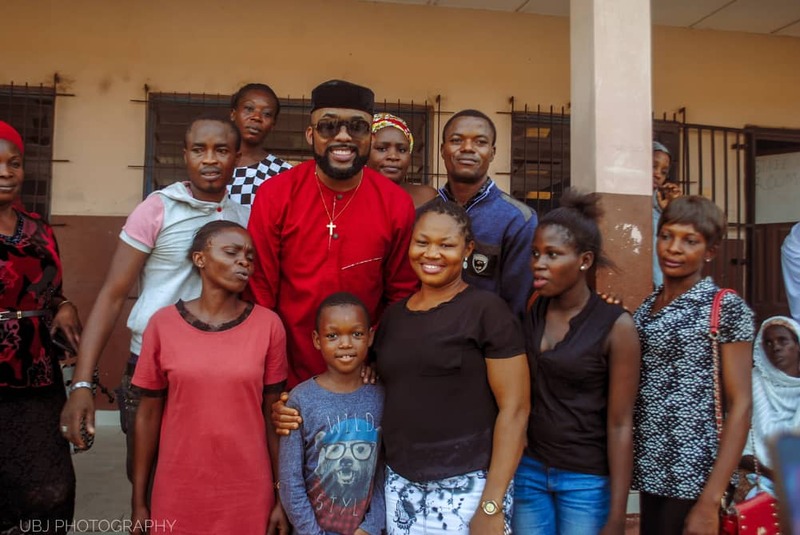 He also revealed his commitment to supporting the project as he is now officially affiliated to SpellAfrica Initiative.